At Orr Builders, we know how critical timing and cost control are to the success of your project. That’s why we always try to be involved in the design-build stage. As a result, we’re able to determine the best methods and materials so that we can remain abreast of varying construction costs. 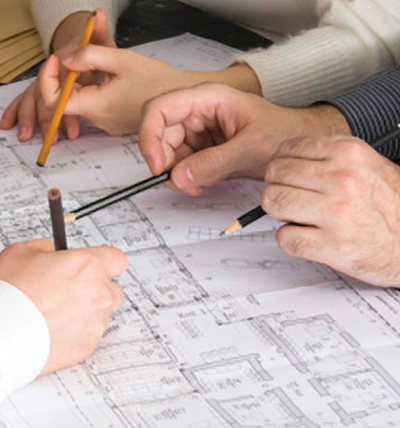 Our team collaborates closely with owners, consultants and key subcontractors from conceptual design through completion of construction drawings and specifications. We then review plans and specs with key trades to determine actual costs, so that alternate design and material selections can be made early on. By continuously reviewing costs, our design-build team can ensure that your project design is completed on time and within budget. Orr Builders is experienced in finding diverse and creative ways to incorporate new construction industry technologies to generate energy cost savings. We are committed to sustainable building methods with LEED (Leadership in Energy & Environmental Design). Our team has constructed several LEED Certified buildings and has the expertise to execute these projects in a cost effective way. LEED or “green” building provides our clients with environmentally responsible and sustainable environments.